At some point in your illustrious career as a LEED AP a client is going to come to you asking what it will take to get his non-LEED-and-already-under-construction-project certified. You likely brought it up 6 months ago when this sort of thing would have been easy, but he just read an article in Fortune or BusinessWeek about how LEED certified projects have higher lease rates and any office building without a LEED stamp won't be considered "Class A" space in three or four years or something... In any case, it's your job to see if it's possible. If anyone wants to join RealLifeLEED as a title and header editor please let me know. I'm obviously not very good. First things first... Check the Prereqs! I suggest going in order of easiest to hardest things to do to get this done. Check with the contractor to make sure they're complying with the requirements of SSp1. Then start talking to your mechanical engineer. You'll need them to look at the refrigerants, IAQ, and energy performance of the building. Hopefully they'll be able to tell if you've exceeded ASHRAE 90.1 by 14% to meet the new prerequisite requiring at least two EAc1 Optimize Energy Performance credit without having to run through a costly ASHRAE 90.1 calculation. If you can't meet the prereqs you can go ahead an give up now. 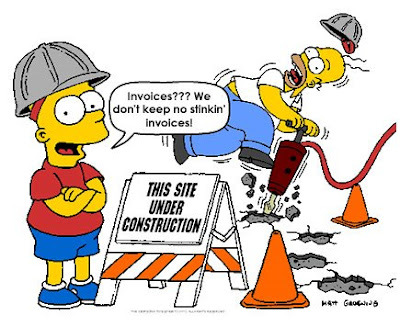 If it's looking like we'll meet the other prereq's I go ahead and get a rough estimate on the fees for a commissioning services if one isn't already on the project. Add that to the registration and certification fees, and any fees you (or other consultants) would charge for the additional service. It's typically a significant enough amount to get the owner to think about how much they want to do this. Also make the client aware that this is likely to increase the amount of change orders from the contractor. He may need to now purchase things like bike racks, metal grates for the entrances, etc. If you passed the first few tests it's time to pull out your trusty credit checklist and take a look at where you stand. A lot of easy points when designed from the beginning may have to be thrown out. If the contractor hasn't been worried about VOC levels, sourcing regionally, or diverting waste there are a lot of MR and EQ points that are a lost cause. If you're early in the construction schedule there may be opportunities to salvage some of these, but generally it's too late. If you think you have enough to make at least a certified level start running through the paperwork and get on the contractor about collecting receipts, managing his waste stream, etc. Hopefully when everything's finished you end up with a plaque, but I'd be very clear to the client about how you can't guarantee anything rating wise. Been through this before? Please share your experiences in the comments section. We're going through this right now with a few projects for a city that were under construction when they decided to go for LEED. One tip I would add is for the owner / client to make sure that their contract with their subs includes LEED documentation and cooperation with the LEED consultant. Our client did not do this on all their projects and some of the subs have decided that since their contract is fulfilled they aren't going to do any additional documentation for LEED. This makes it difficult to achieve certification, especially after the preliminary review and durning the final submittal process. I'm enjoying this blog, thank you for creating it. Thanks for reading! Your advice is important. I would add contractor fees up with the CxA and our own fees in the "Second round" I described above. There is a significant amount of work the contractor needs to complete (waste, IAQ, and pollution prevention plans for instance) in additional to their normal duties when LEED is involved. Where you said you suggest going in order of the easiest to hardest -- do you mean easiest to check, or easiest to comply with? If thinking in terms of easiest to comply with from a construction cost standpoint, you might want to consider first checking the hardest ones to comply with that are also the easiest ones to check, if that makes any sense - thus saving review time if you find out sooner that LEED is a no go. Great Blog! I am currently working on LEED warehouse thru the CS program. I am an estimator for the general contractor. 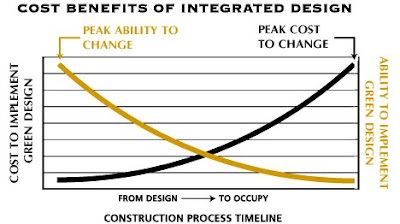 We have been asked several times to do point vs cost analysis on all leed possibilities. For warehouses this mean check the energy model first. Without the TI very few warehouses can make the required 2 points. The points are achieveable by inculding a future TI space and lots of T5 lighting and cambridge direct fired units. Alot of warehouses don't know who their tenants will be when being built. Currently I'm working on reaching the energy model points without using the TI space, by arguing the building as a semi-heated space, I'm waiting to see how the precert comes out. As far as the documentation goes, it is best if the owner hires a general contractor with experience on LEED projects, because we can force the subcontractors to do the paperwork, or they will not be paid their retainage, no matter what is in their project. Also, as the estimator, I like to target good paperwork subs when buying out a LEED job. Question about cost/benefit analysis software like ecologic3...Anyone had any experience with something like this? Is it worth it? anon - I haven't personally used any such software in the past, but I know that some energy modeling software programs used by MEP engineers have those capabilities built in. Thanks to our good friends at Harvard and the University of California, there are full sets of LEED documentation available for LEED-NC, LEED-CI, and LEED-EB projects! The ID Credit Gold Box! This blog was created to fill the void of knowledge about all the little things that can make the LEED process frustrating. While I'm still learning, I routinely work on these issues and wanted to share what I've discovered in the hopes of making the LEED system more efficient, easier to use, and effective for everyone! Please note that "I'm still learning" is a key phrase in the above paragraph. Any actions you take as a result of posts, comments, advice, or advertisements on this website is at your own risk. This is not an official U.S. Green Building Council (USGBC) nor Green Building Certification Institute (GBCI) website. If you have any questions that you can't find answers for or tips to offer, please email me anytime! I try to answer all emails, but many fall through the cracks and for that I apologize.